During our drive to Colmar 5 days earlier, we noticed the motorway signs to Verdun – one of the most important WWI battles and it got us thinking about researching what was at the battlefield and if it would be worth a visit on the way back. 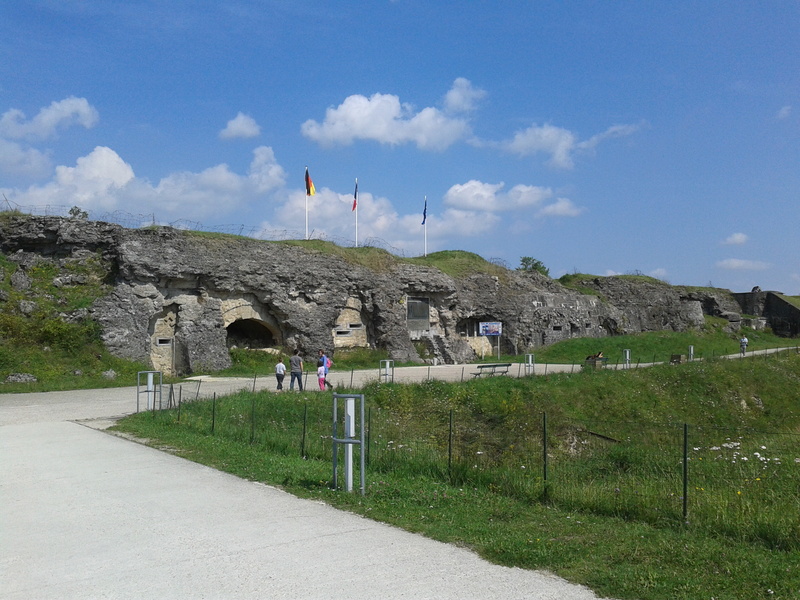 A short internet search later proved that the French preserved the battlefield very well and it was a highly rated “attraction” because of the level of preservation and signed interpretation available to visitors. 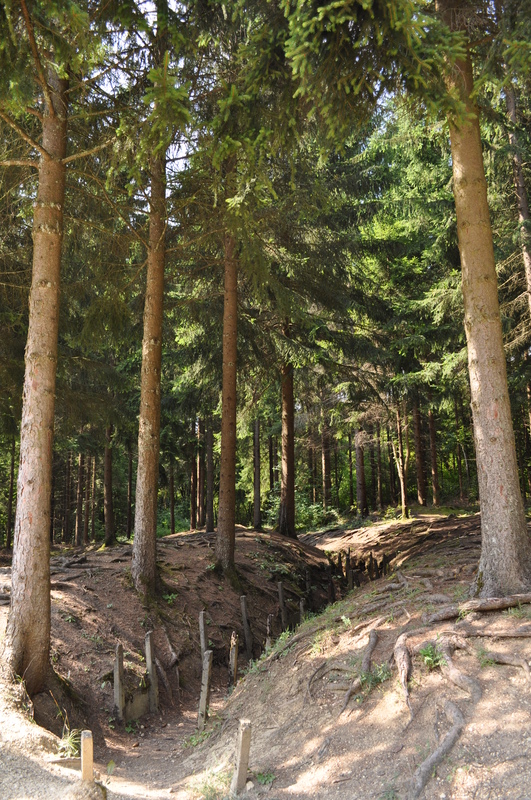 In fact, it is one of the best preserved battlefields we’ve ever encountered – and we’ve seen a lot. Because of our very long drive to get back to home in the UK, we only had a couple of hours to spend – so we first stopped at the visitor’s center to get a map and suggestions to ensure we used our time wisely. 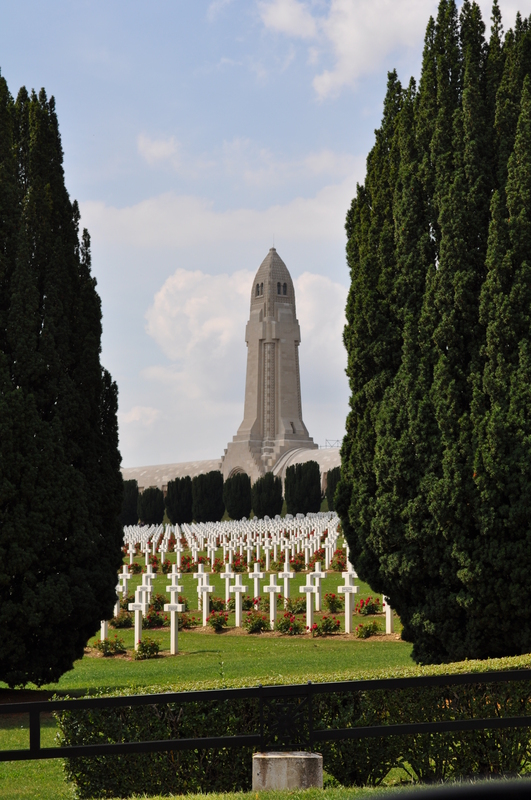 BACKGROUND: The Battle of Verdun is significant in world history as a French defeat would have meant the loss of France to the Germans and likely no hope for an Allied victory in Europe. Hence why the French victory is held in such high esteem. It is also important because it marks one of the most deadly battles in the history of the world – in fact, it is an understatement to call it a battle – it was a war within a war. Estimates range from 700,000+ to 900,000+ killed in 11 months of battle averaging at least 70,000 killed per month in a space of only 7 square miles. Compare that to Gettysburg where only about 50,000 were killed (but, that was during 3 days). Sadly, most of the soldiers never actually saw an enemy. They were killed by artillery or poison gas while living in their fox holes and trenches. Knowing the history and gravity of what occurred makes a visit very solemn and emotional knowing that a man died on almost every inch of earth that you walk. 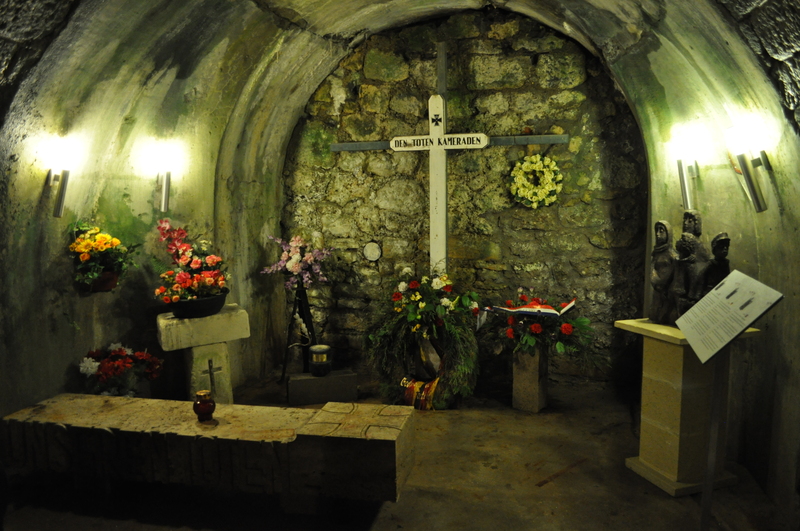 We first visited the Douaumont Ossuary and primary French cemetery. The Ossuary contains the remains of 130,000 soldiers collected from across the battlefield – they are not organized but rather kept in separate alcoves/rooms as the bodies were identified. Also, as new remains are found every year they too are placed in the Ossuary. It marks the heart of the battlefield. 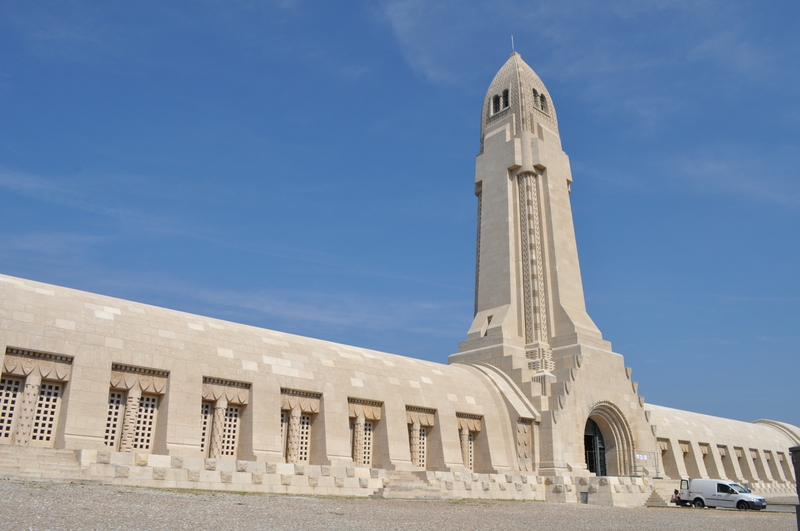 Douaumont Ossuary containing the remains of 130,000+ soldiers and the French cemetery containing over 16,000 graves. 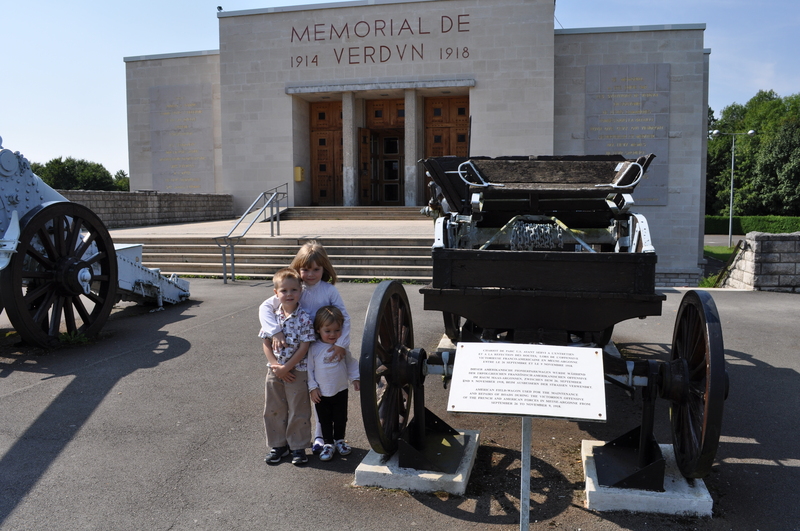 We stopped briefly at the museum and memorial to the Battle of Verdun. However, we only stopped to see the artillery and other items on display outside as we didn’t have enough time. However, the reviews of the museum were highly positive. Driving through the battlefield, you can’t help but notice the honeycomb network of small hills and valleys marking the entire land – the remains of the trenches in which so many died. 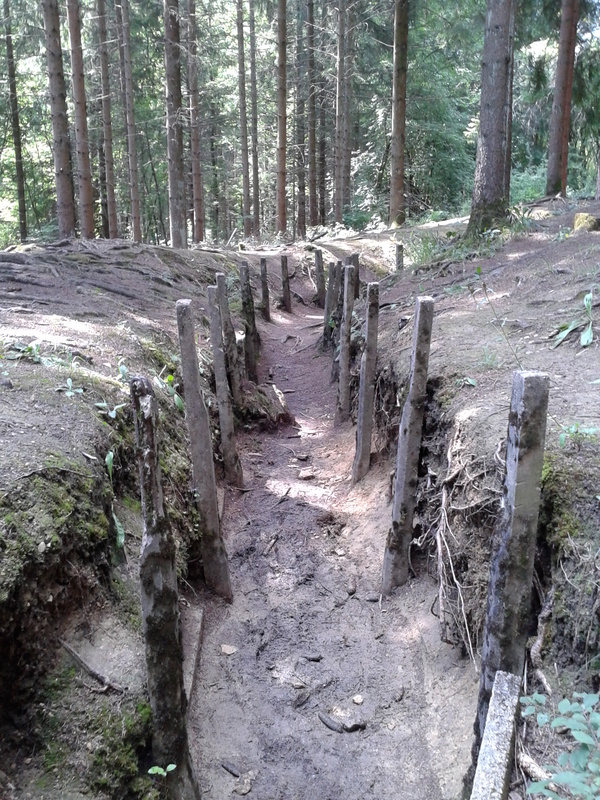 At first, they are interesting and intriguing to see – WWI trenching being something you only really read about in a history book. But, after awhile seeing them continuously, the sight really begins to impress the scope and magnitude of the event. 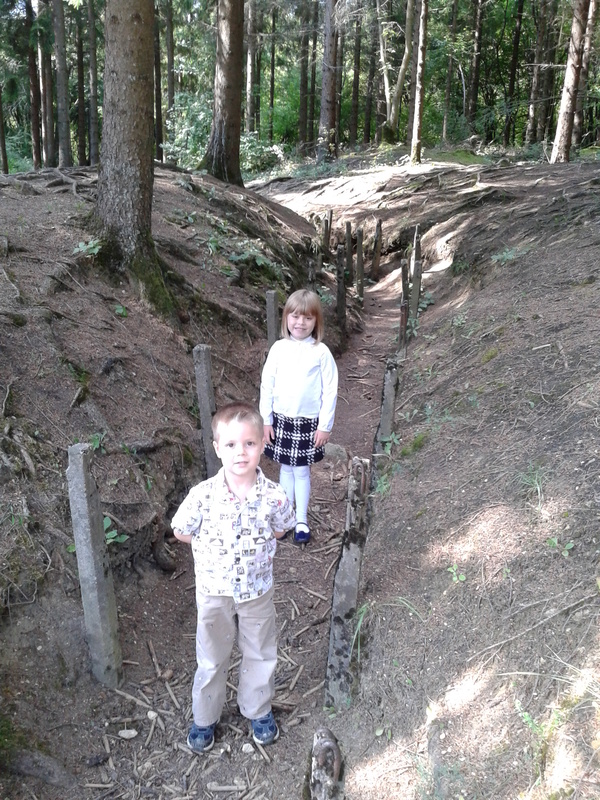 Next, we visited the Trench of Bayonets memorial. 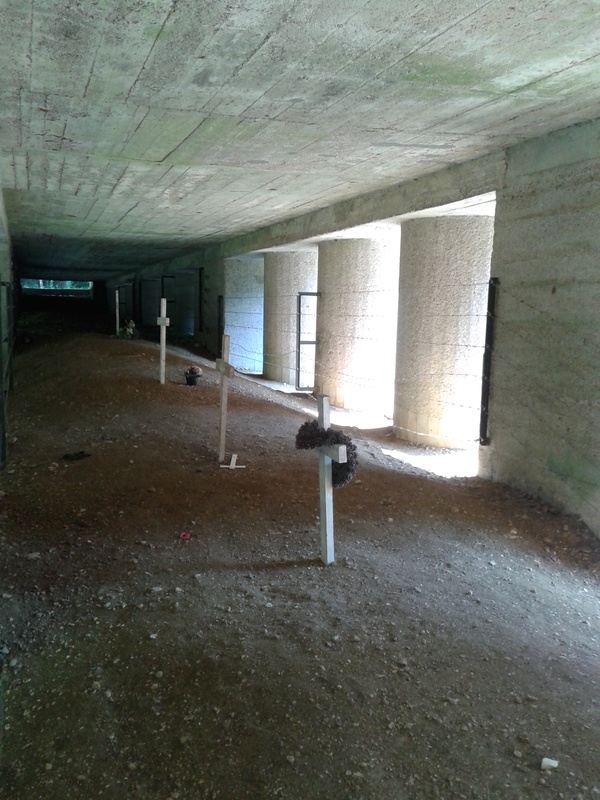 A spectacularly moving memorial preserving the place where 39 bayonets were found projecting from the ground. 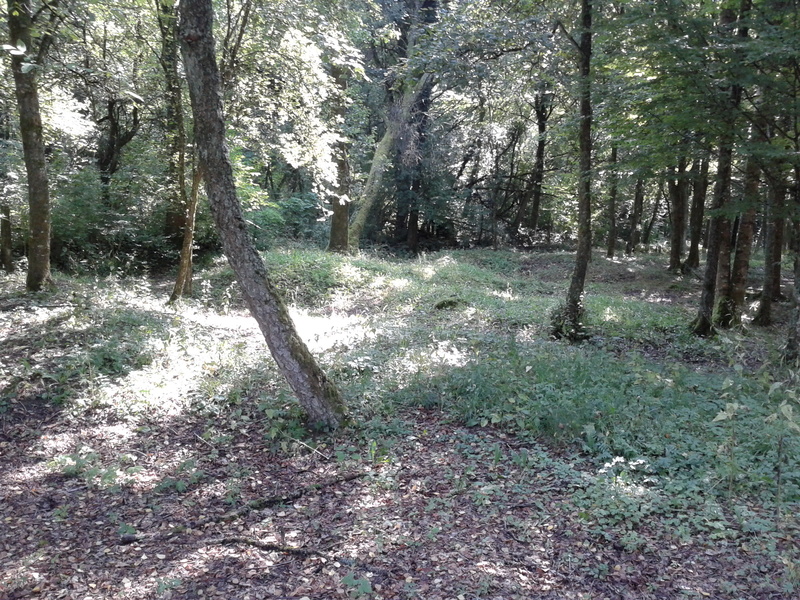 The bayonets marked the trench below in which the 137th French regiment was buried alive during German bombardment The ground has been left untouched and the soldiers left as they were. 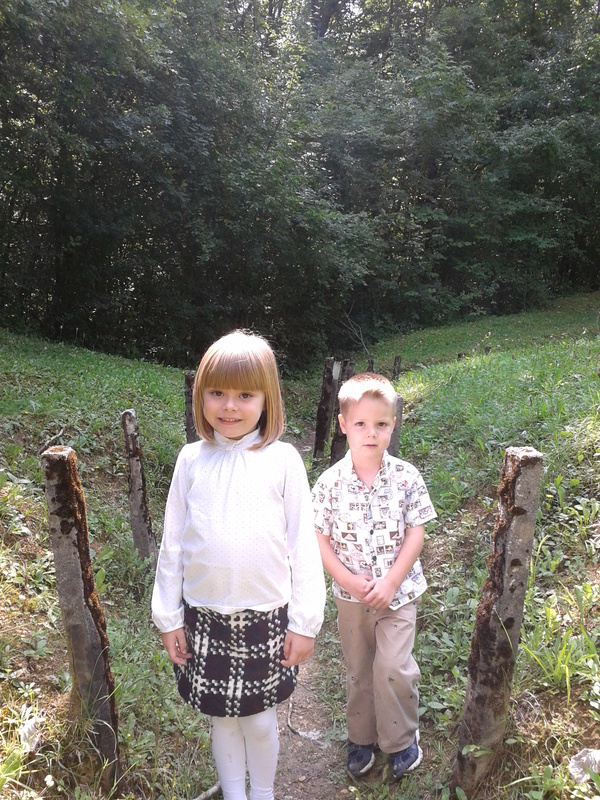 A monument was built above them and a small cross marks their location. 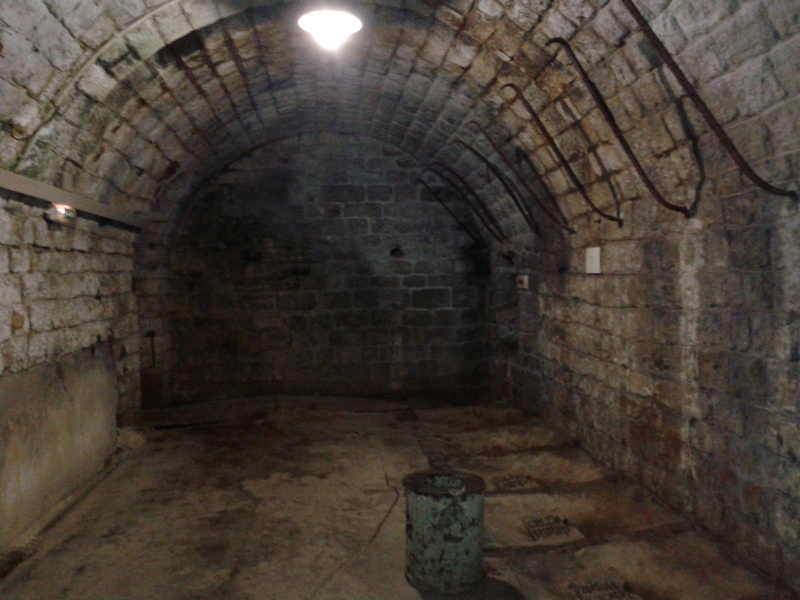 We then visited Fort Douaumont. An amazing fortification built on a small hill and largely abandoned by the French who determined it could not be defended against artillery. 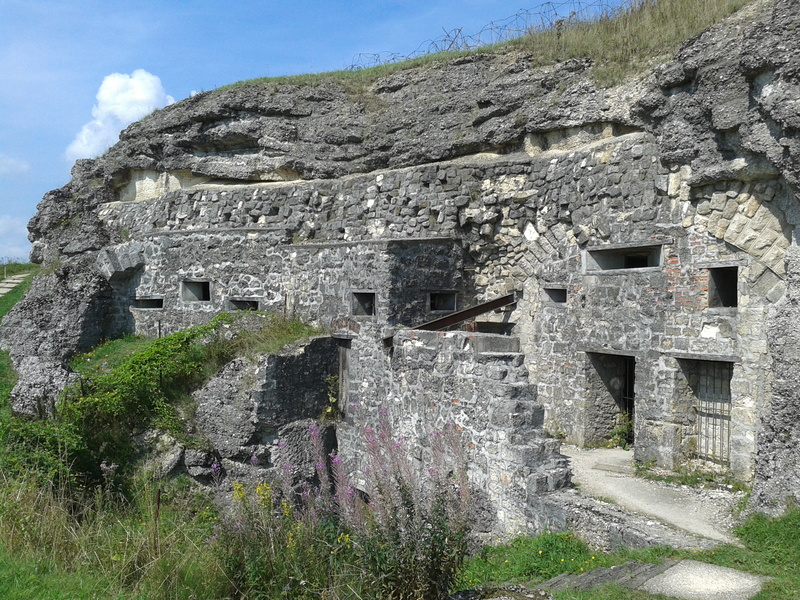 However, the fort was easily taken by the Germans early in the battle and the French expended tremendous effort retaking the position later. 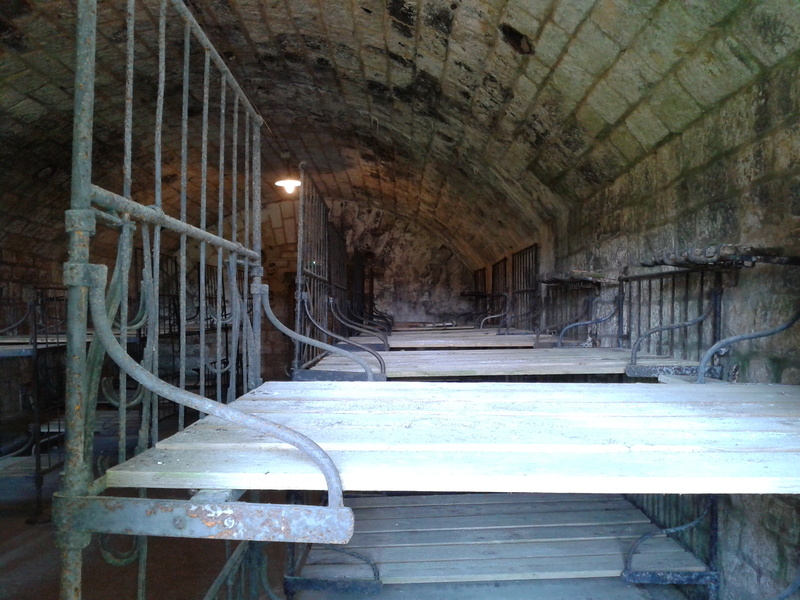 Inside the Fort, you can walk through the halls and really experience the claustrophobic and horrible conditions that were present across the battlefield – and the men in the Fort actually had it good comparatively. 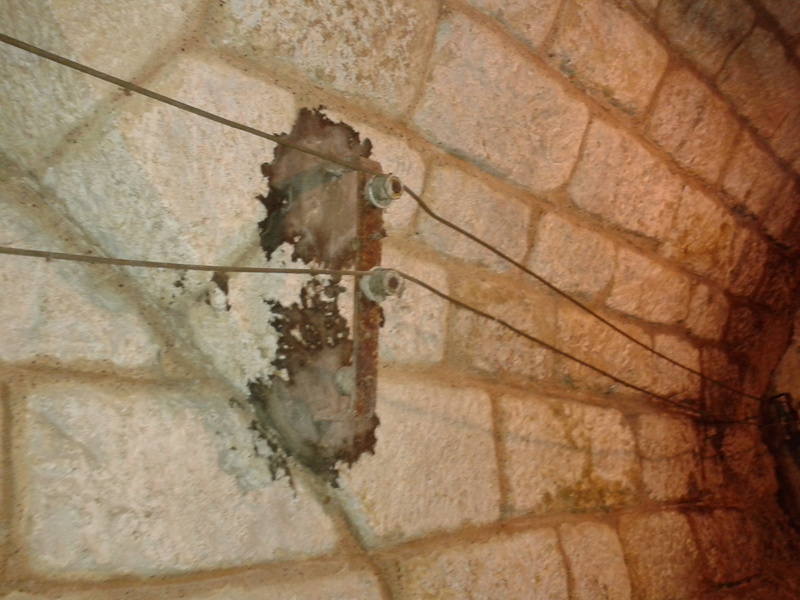 The fort is filled with hallways and rooms most of which have fragments of the artillery shells which were found in the room after a bombardment along with plaques describing the number of people killed in that location. 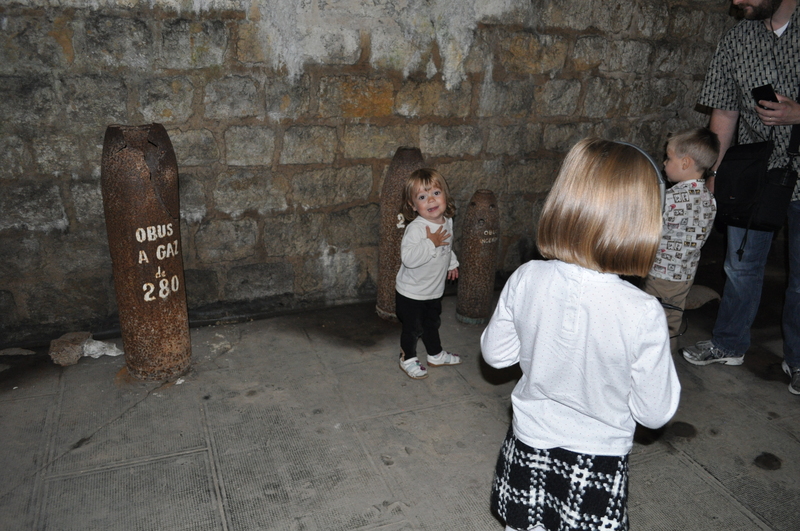 Aurelia, Lucas, and Isabella examine the remains of poison gas and incendiary shells which fell on the fort. 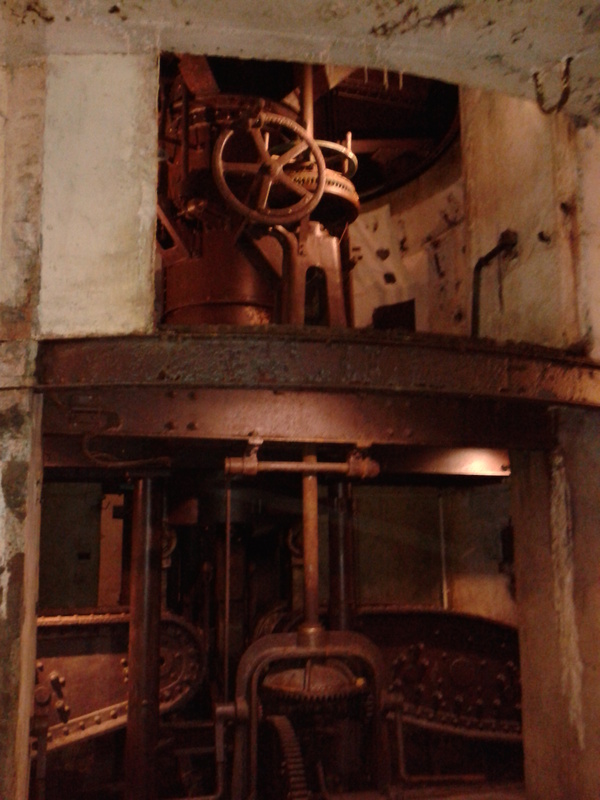 The steel works of the 155mm 360 degree rotating machine gun which could be raised and lowered into the fort for added protection as well. 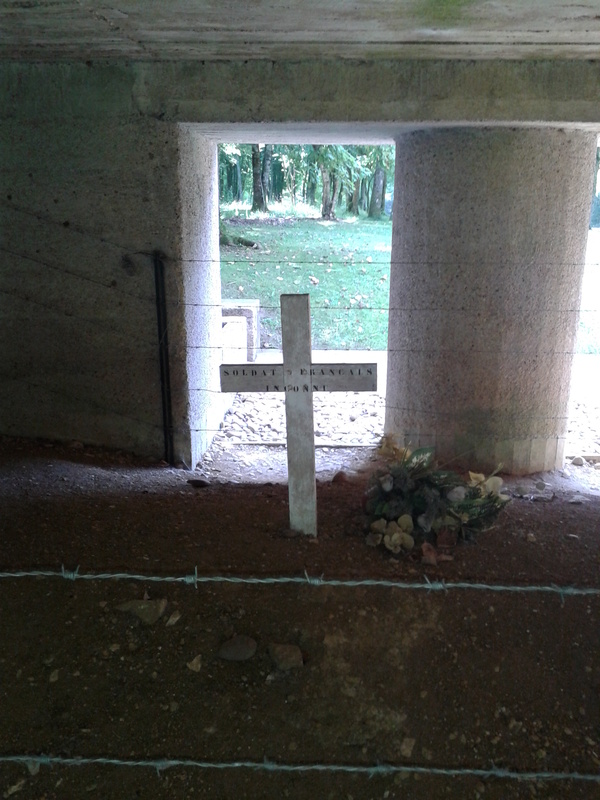 On the lower level is a memorial and grave of 679 German soldiers which died in a firestorm within the Fort. Their bodies were collected after the fire and placed within a wall which was then sealed. 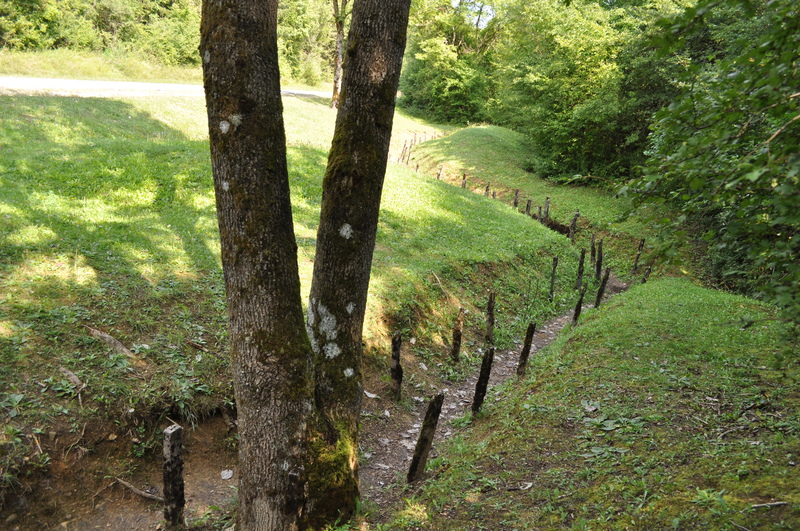 Lastly, on our way out of Fort Douaumont, we visited some better preserved trenches nearby which still retained much of their walls as well as the concrete poles which held the communications lines and barbed wire. It was quite an experience to walk the trenches and think about the hell which was life for these men during those 11 months. Visiting the battlefield was emotional. Even writing about the experience and what I saw is now difficult. 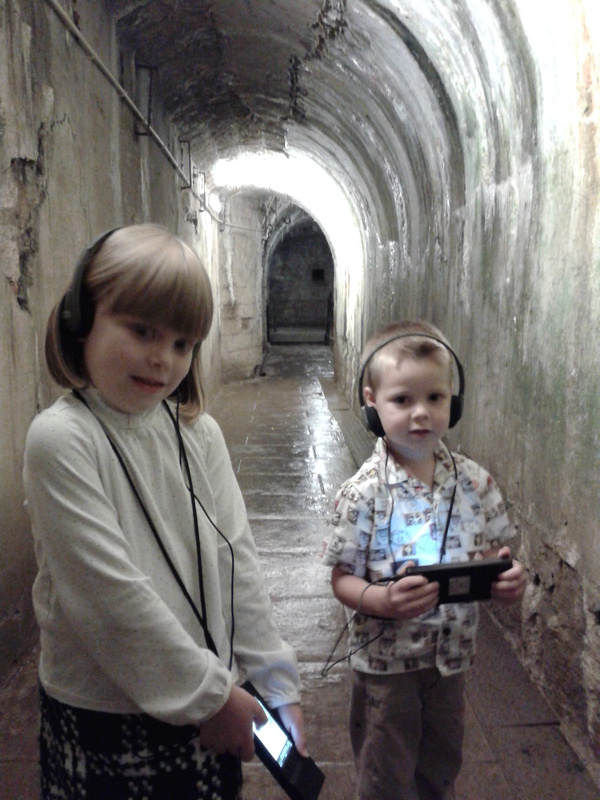 We tried to explain it to the children the best that we could – but there is no explanation except that we hope that by preserving these sites, and visiting them, we can always remember the pain it caused and hopefully never repeat it again.